Fibromyalgia is an illness that affects many people throughout the world. Getting tested and confirmed to have fibromyalgia is something that does take time. Why is this? There are several other illnesses out there that have similar conditions that are associated with fibromyalgia. That is why tests must be completed in order to ensure that fibromyalgia is the illness that is afflicting the person or not. How Long Will Testing Take? One of the main questions that people ask is just how long a test will take to determine whether they have fibromyalgia or not. The newer guidelines for testing are a bit hazy when it comes to how long testing will take. There are those who suffer with pain for more than three months who go to the doctor one time and are diagnosed. Other people find that it takes a few tests and many visits to the doctor in order to get confirmed that this is what they have. It all depends on the person and the symptoms that they are showing! However, those who are experiencing pain need to ensure that they are seeking out a medical professional. They will want to determine if there are other issues present that need to be treated as well. Blood work to get a complete blood count to ensure there are no infections present that could be causing the pain that you are feeling. The doctor often performs a full physical to ensure that the patient has no other underlying issues that could be accounting for the issues they are having. The pain point test, or the tender point test, is one of the older types of methods for determining if a patient has fibromyalgia or not. This test involves looking at the 18 tender points within the body that are associated with fibromyalgia. When a person has this issue, they are going to find that there are 18 points throughout the body that are considered tender points. These tender points are going to be the main source of pain throughout the body of the person who suffers with this illness. When this test is performed, the doctor is going to press on certain points throughout the body. Then the doctor will ask the patient to register their pain level when each point is pressed. Most people who have this illness are going to find that when these points are pressed they are going to feel intense pain. It is not unheard of for a person to feel pain so intense that they almost faint from the pain. Other people merely report having a lot more pain. This will all depend upon the pain tolerance that the person has, which is going to be different from each person out there. It should be noted that this type of test is considered “old school” in that it is not used as freely any more as the main method for determining fibromyalgia. There are still some medical professionals who will utilize this test to confirm that a patient does indeed have fibromyalgia on top of the other tests that are out there. In the past couple of years, there has been a new blood test designed specifically for fibromyalgia that may be of interest to those who are looking to find diagnosis. What makes this blood test stand out is that it is considered more accurate than other types of tests out there. This is because this blood test does not confuse other illnesses like lupus and rheumatoid arthritis with the fibromyalgia. This test was introduced by EpicGenetics and is called the FM Test. How does it work? This test looks at the protein molecules in the blood referred to as chemokines and cytokines. These two molecules are produced by white blood cells. Those who are diagnosed with fibromyalgia have less chemokines and cytokines in the blood due to their weaker immune systems. 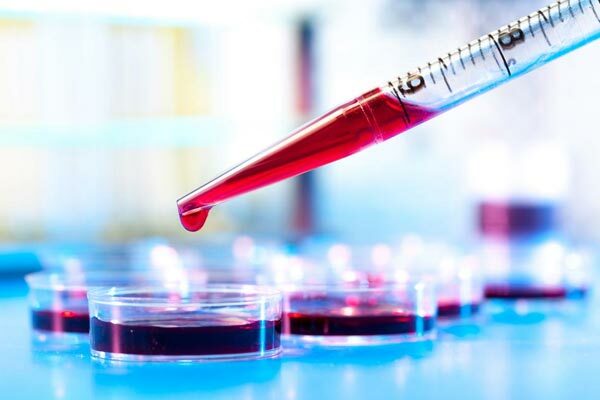 A new study of over 300 patients with fibromyalgia, lupus and rheumatoid arthritis, found that this blood test was positively perfect in diagnosing the fibromyalgia and not confusing the other issues. For those who are ready to get diagnosed with this issue, on top of the tests that were mentioned here, there are a few things in which doctors are going to want to determine are present before suggesting that fibromyalgia is the culprit. The doctor is going to want to ensure that the pain is widespread throughout the body, the pain has been present for more than three months, and that there are no other issues present that could be causing these symptoms. Doctors are also going to look at the fatigue level of the person and whether they are having sleep disturbances. They are also going to test for depression to see if this is present or not. Which has long thought to be an underlying association with fibromyalgia. Once you are tested for fibromyalgia, your doctor may have you come back to his or her office in the next week to discuss the results. From here, the doctor will outline what needs to be done if you are testing positive for fibromyalgia. This may involve a stricter diet, an exercise routine and numerous medications to help ease these symptoms so that you can keep living an active life. Those who do have fibromyalgia will find that there will be trials and errors when it comes to finding what course of treatment works best for you. However, if you keep with each suggestion, you will find that fibromyalgia does not have to take over your entire life!